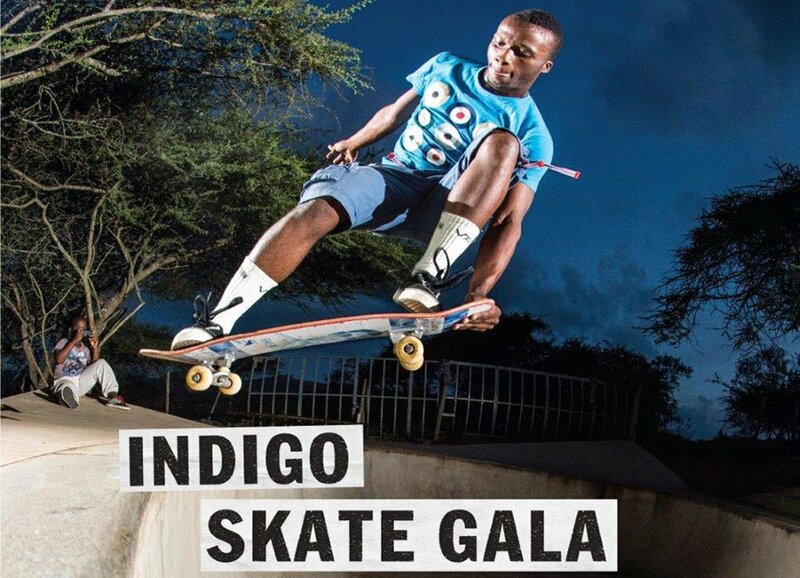 Indigo Skate Camp, one of the leading social change movements in South Africa was hosted at the ‘Indigo Skate Gala’, a photographic exhibit and mixed mediums art show displaying 15 years of the Indigo Youth Movement. The auction featured a variety of contemporary and abstract art pieces which included framed prints by photographer Craig Scott and sculptures from artist Paul Edmunds as well as a host of bespoke skateboarding memorabilia. All artwork was set up around the periphery of a perfectly skateable 15ft Olympic pool and we saw some of SA’s biggest skateboarders including: Jan Horrowitz, Moses Adams, Joubert Van Staden, Chris Cab as well as the junior team of Zulu skaters from Indigo Skate Camp in KZN in action in a unique skating contest. All proceeds from prints and auctioned items went towards the NGO’s mandate of making skateboarding and facilities accessible to at-risk youth in South Africa. The Laureus-funded Indigo Skate Camp is the brainchild of Dallas Oberholzer, whose exposure to international skateboarding competitions inspired him to create opportunities for disadvantaged young people, and to learn about skateboarding. The main objective of the project is to introduce the sport to young rural villagers and to invite international guests to the village to learn more about Zulu culture. This has led participants to learn how to skate and to become more confident individuals. Established in the heart of Isithumba, a rural Zulu village on the outskirts of Durban, the project has introduced young people to skateboarding and also created an opportunity for them to be introduced to tourism, life skills and entrepreneurialism. Indigo also hosts after-school skateboarding instruction sessions in Cape Town in Nyanga, Kleinvlei, Scottsdene and Valhalla.